1 This Expedited Decision is amended to add a section entitled Post-Decision Motion for Clarification beginning on page 2, and to amend and clarify Order Number 2, on page 33. 2 Administrative Law Judge Joan Herrington observed the hearing. The Expedited Decision was issued and served on the parties on May 11, 2012. On May 15, 2012, Student submitted a Motion for Clarification Regarding Stay Put Order. On May 17, 2012, District filed a reply in opposition to the motion. Student’s motion requests clarification of Order Number 2 at the end of the Expedited Decision, which ordered the following: “Student shall be immediately reinstated at a general education school.” Student represents that a dispute has arisen between the family and District regarding the meaning of that order, in that Student wants to return to the school where he was placed when he was expelled, Suisun Valley; and District is offering educational placements at other schools instead. The motion is accompanied by copies of email correspondence between the attorneys for the parties and various printouts of Internet website pages about the schools. District objects to Student’s documents attached to the motion for lack of authentication and for disclosure of confidential settlement negotiations. District’s objections are well-founded. Student’s documents are not considered in ruling on his motion because they were not accompanied by a declaration under penalty of perjury establishing the authenticity, foundation and relevancy of the documents sufficient to consider them. District objects that Student’s motion is not one for clarification because Order Number 2 is clear on its face, and is instead a motion for reconsideration of the Expedited Decision unaccompanied by new or different facts, circumstances or law justifying reconsideration. In addition, District claims OAH has no jurisdiction over the enforcement of the order; and stay put is not at issue. Student’s motion for clarification is granted because Order Number 2 is not clear on its face, as evidenced by the current dispute, and contains a typographical error. Order Number 2 should read as follows: “Student shall be immediately reinstated at his general education school.” It was not the intent of the ALJ, in issuing this order, to order a change in Student’s educational placement or to grant District discretion to do so. In addition, the cases cited in the Legal Conclusions regarding District’s basis of knowledge show that stay put applies during the pendency of an appeal regarding the issue. (See S.W. v. Holbrook Public Schools (2002, DC Mass.) 221 F.Supp.2d 222, infra, at p. 226-227 [where school authorities had knowledge of a disability at the time the pupil was disciplined, stay put applied and the pupil had the right to remain in her school “throughout both the administrative and judicial proceedings….”] See also Rodiriecus L. v. Waukegan Sch. Dist. No. 60 (1996, CA7 Ill.) 90 F.3d. 249. Moreover, the present case is not completed but has been bifurcated, and hearing dates are scheduled in June 2012 for the non-expedited portion of this case. Therefore, the Expedited Decision is amended to clarify Order Number 2 to change the word “a” to “his,” and to add further clarifying language as set forth in the order. 3 The Order Following Prehearing Conference, dated April 11, 2012, noted that Student’s expedited issues do not involve denial of FAPE, as Student claimed. The expedited issues have been reframed, reorganized, and clarified. For example, Student’s claim that District “knew or should have known” that he was a pupil with a disability has been reworded to comply with the specific “basis of knowledge” requirements of federal law. 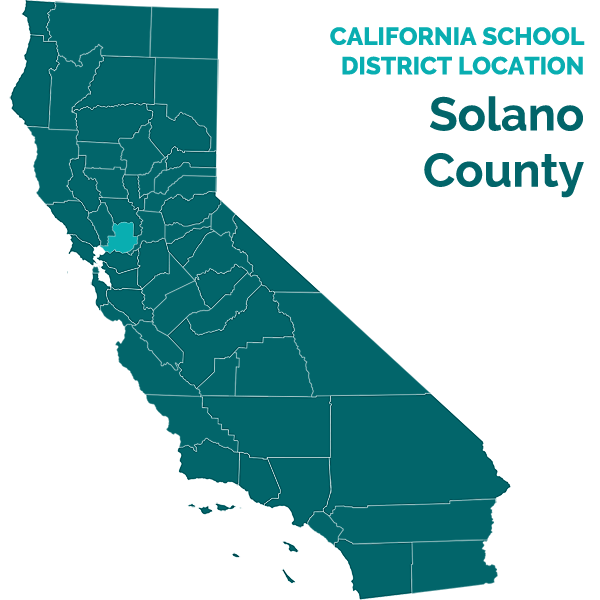 4 At the outset of the hearing, the District renewed its motion, made and denied during the prehearing conference, to dismiss Student’s Issue 2, as the issue was necessarily a FAPE claim and not an expedited disciplinary issue. The ALJ denied the motion because an evidentiary hearing on the merits of the issue was needed to evaluate the claim, particularly in light of the continuance of the District’s expulsion proceeding until mid-February 2012. 10. As the Executive Director of Pupil Services, Mr. Green-Ownby is both the Director of Pupil Services, including all truancy and discipline matters, and the Director of Special Education. He has been with this District for about four years and prior to February 2011, he was the Director of Special Education. He has been in education for over 20 years, obtained a masters in educational administration, and holds State license credentials in general education multi-subject and special education learning handicapped teaching, and educational administration. Mr. Green-Ownby testified that it was his understanding that the District decided to extend Student’s suspension on about November 9, 2011. However, his testimony about the date was not persuasive because he appeared to be guessing at that date by counting five days after November 4, 2011. As found above, Student’s actual five-day suspension was through November 14, 2011. Student’s suspension would otherwise become a change of placement for purposes of this analysis on November 29, 2011, the 11th day of suspension.6 However, the parties agreed that Student has not returned to school since November 4, 2011, and Mr. Green-Ownby was persuasive that there was no gap in time between the initial and the indefinite suspension. The preponderance of the evidence therefore established that the District decided to change Student’s placement to the indefinite suspension on November 15, 2011, the same date the expulsion referral was made. District would therefore have been obligated to hold a pre-expulsion manifestation determination review meeting within 10 school days thereafter, or no later than Tuesday, December 10, 2011, if those laws are applicable. 5 According to the school calendar in evidence, school was closed for the Veterans Day holiday on Friday, November 11, 2011. 6 According to the school calendar, school was closed the week of November 21, 2011, as follows: closed on recess on November 21 and 22, and closed for the Thanksgiving holiday from November 23 through 25, 2011. 33. More troubling, Mr. Green-Ownby, who was not employed by the District in 2006, testified about how he understood the data from the original IEP should have been entered by school staff into the computer based on his 2005 participation in GENESEA’s setup as a SELPA representative from another school district. Accordingly, he could not say what procedures the District actually used in 2006, and much of his testimony was therefore hearsay.7 Based on the foregoing, while District’s Exhibit D4 was a school business record, the document could not be relied on to conclude that it was an accurate and true copy of Student’s November 2006 IEP. 7 See title 5, California Code of Regulations, section 3082, subdivision (b). 37. As an exception to the statute of limitations, Student may prevail on his claim if he shows that the District withheld information that it was obligated to provide to Student in a manner that prevented Student from filing a complaint. In this regard, Mother did not recall whether District provided her notice of procedural rights, and denied receiving a copy of the November 17, 2006 IEP. As found above, however, Mother’s testimony about the November 17, 2006 IEP meeting was not credible. Student did not establish, based on Mother’s lack of recall, that District failed to provide her with procedural rights and a copy of the IEP, or that she was thereby prevented from knowing that the District exited her son from special education for over five years. As found above, Mother knew that District rescheduled the IEP meeting at her request, due to her continuing medical education conference. She was responsible to follow up regarding the rescheduled meeting. Mother knew she had a meeting or “discussion” with the District on November 17, 2006. In addition, Mother knew that District did not convene any further IEP meetings in 2007 or 2008, within the statute of limitations. She knew that Ms. Muzzy wanted to terminate speech and language therapy based on Student’s progress because she talked to Ms. Muzzy about a week before the IEP meeting. She also believed, incorrectly, that Ms. Muzzy was leaving and that Suisun Valley would no longer provide speech services at that school after the 20062007 school year. In fact, District established that Ms. Muzzy continued to provide speech and language services to other pupils at Suisun Valley until about 2008. 45. On May 9, 2011, Ms. LaRocco, who was then Student’s sixth grade teacher, convened an SST meeting to discuss the school’s concerns about Student. Mother attended, along with Student’s other teachers, Gary Baziuk, and Amy Hosier, resource specialist Ms. Decena, and the school psychologist, Ms. Henry. In addition to being a special education resource specialist, Ms Decena was an administrative employee responsible for the SST process at Suisun Valley. Prior to the meeting, Ms. Henry attempted to speak with Student, but he defied her and refused to speak with her. The SST discussed seven areas of concern about Student: he bullied others; had difficulty following the rules; showed no empathy when teachers discussed his inappropriate behaviors; had no affect; had a hard time reading at home; engaged in power struggles with teachers, including looking for loopholes; and played with fire. Ms. LaRocco persuasively testified that Student’s mean or bullying attitudes were more serious in sixth grade than in third grade. In addition, Mr. Baziuk, Student’s English literature teacher and a teacher with 30 years of teaching experience, expressed his concerns to the team about Student’s disturbing conduct.8 The SST developed a plan of action to include communication notes between the school and both parents; consequences for inappropriate behavior, such as detention; and a behavior contract. By the third trimester of sixth grade, Student performed well academically and received academic grades of B’s in English and Math, a B plus in English Literature, and A’s in both Science and Social Science. Despite Student’s academic success, District was concerned about his psychological well-being and the impact of Student’s social isolation and aggressive bullying. Ms. Henry, the school psychologist, provided services to both general and special education pupils. However, there is no evidence that the subject of special education was raised at any time during the meeting. The evidence established that the participants knew about Parents’ troubling and ongoing divorce dispute. 8 Later, in November 2011, Ms. LaRocco informed a law enforcement officer that she thought Student might be a “sociopath.” In addition, Mr. Baziuk informed the officer that Student was the most “disturbed child” he had ever seen. While these teachers may not have used those words in the May 2011 SST meeting, there is no doubt that the concerns they expressed in that meeting were serious and reflected their knowledge of Student’s negative patterns of behavior communicated to Ms. Decena and Ms. Henry. 9 However, later, in December 2011, Mother changed her mind and denied that the handwriting was her son’s. 60. However, Dr. Peterson’s evaluation and diagnoses did not exist and were not communicated to the District at any time prior to the disciplinary incident of November 4, 2011. Student argues that Dr. Peterson’s opinions regarding Student’s historical symptoms are not only relevant to nonexpedited Student’s FAPE case regarding District’s child find obligations, but are also relevant to evaluate District’s knowledge in this expedited case prior to November 4, 2011. Thus, Student argues that, in light of Mother’s expressed concerns, District should have referred Student for a special education assessment in May or October 2011. However, as set forth in Legal Conclusions 21 through 34, the specific requirements for federal discipline procedures, including a school district’s basis of knowledge criteria, control in this expedited case. Therefore, much of Dr. Peterson’s testimony was accorded little weight on the issue of what District knew prior to the disciplinary incident at issue here. 3. Only children with certain disabilities are eligible for special education. (20 U.S.C. § 1401(3)(A); Ed. Code, § 56026, subd. (a).) For purposes of special education eligibility, the term “child with a disability” means a child with mental retardation, hearing impairments (including deafness), speech or language impairments, visual impairments (including blindness), serious emotional disturbance, orthopedic impairments, autism, traumatic brain injury, other health impairments, a specific learning disability, deafblindness, or multiple disabilities, and who, by reason thereof, require instruction, services, or both, which cannot be provided with modification of the regular school program. (20 U.S.C. § 1402(3)(A)(ii); 34 C.F.R. § 300.8(a)(2006)10.) Thus, there are many children who have varying ranges of weaknesses, deficits, areas in need of improvement, and disability who do not qualify for special education because they do not meet the narrow categories specified by law for this federally funded program, including the requirement that the instruction or services cannot be provided with modification of the regular school program. 11 Other Education Code sections define additional acts that may be grounds for discipline. 12 The LEA may also request a hearing in specified circumstances. 19. As set forth in Factual Findings 1 through 36, and Legal Conclusions 16 through 18, the two-year statute of limitations is applicable to this issue, unless an exception applies. Student’s contention that he did not know or have reason to know that he had been exited from special education in November 2006, must be construed to mean that he did not learn of the underlying facts until on or after March 20, 2010, because his complaint was filed on March 20 2012. Student did not sustain his burden of proof on this issue.13 Ms. Baziuk’s credible testimony was consistent with District’s bare record, reported to CDE, that Student had been exited, and Mother’s lack of credibility defeated her argument. The evidence established that Mother attended Student’s triennial IEP team meeting on November 17, 2006, and she knew or had reason to know, after November 17, 2006, that District had exited Student from special education, including but not limited to the following: (1) District did not invite or notify Parents to attend, or conduct any further IEP team meetings for Student from December 2006 through the present, a period of almost five and a half years; (2) there is no evidence that Mother requested an IEE because she disagreed with District’s speech and language assessment, upon which the decision to exit was based; (3) District did not file a complaint to seek an order overriding Parent’s lack of consent to exit Student, or to establish that its assessment was appropriate; (4) Mother knew or had reason to understand, by the time of Student’s annual IEP in February 2007, or February 2008, that no IEP meeting was scheduled or held, and made no inquiry; (5) Mother did not present any evidence that she made any inquiry to the District about Student’s continued speech and language services, or progress on speech and language goals, or annual reports of progress or proposed modifications of those goals for over five years; (6) Mother testified that Ms. Muzzy informed her in November 2006, that she was transferring to another school and that Suisun Valley would no longer have speech services; consequently, by Mother’s own testimony she understood Student’s services would cease, although either her recollection or the information were not true; (7) Mother did not establish that she received any representations from the District, verbally or in writing, that she relied on, or was entitled to rely on in holding any good faith belief that her son was still in special education, such as report cards, progress reports, IEP offers, annual special education goal progress reports, or parent-teacher conferences; and (8) it is reasonably inferred from Mother’s complete lack of action for over five years that she understood her son no longer received special education services. 13 Student’s closing argument does not address the statute of limitations and his contentions are taken from the context of his issues and matters discussed at hearing. 14 Subdivision (c) of Part 300. 534, above, contains exceptions that are not applicable in this case. 26. As set forth above, a parent’s expression of concern that his or her child needs special education services must be in writing, and must be made to either a teacher of the child, or to “supervisory or administrative personnel” of the school district. As set forth in Factual Findings 39 through 52, and Legal Conclusions 21 through 25, Mother did not make any such request at the May 2011 SST meeting. The meeting did not include discussion of the possibility of special education services. In addition, there is no evidence that Mother expressed in writing to any person at or after the meeting that Student was “in need of special education and related services.” Student did not sustain his burden to establish that Mother’s May 12, 2011 email asking for Student to see the school psychologist “when she is available” was a request for special education services. The evidence established that it was not uncommon for school psychologists to work with general education pupils for crisisrelated or other short-term counseling. The SST agreed to have the school psychologist check in with Student as part of the behavior plan. Mother did not object to District’s decision to use general education interventions. Whether or not District may have had some child find obligations in the spring of 2011, Student did not establish that Mother requested special education services for him in writing. District had a basis of knowledge that Student had a suspected disability prior to the disciplinary incident on November 4, 2011. Within 10 school days of the date of this order, District shall convene a manifestation determination review team meeting if it decides to suspend Student for more than 10 school days, or expel Student based on the disciplinary incident on November 4, 2011. If the District fails to hold a manifestation determination review team meeting as ordered above, the District shall expunge Student’s educational records by purging all references to his expulsion. 16 Nothing in this Expedited Decision prevents Student from raising at the nonexpediting hearing that the District denied Student a FAPE when it determined not to assess him after Mother’s November 10, 2011 request, and that he is eligible to receive special education services, as alleged in his complaint. 17 Student’s closing argument requests an interim placement under 34 C.F.R. 300.532(b)(2)(ii) at a residential treatment center called Plumfield Academy. However, Student has not yet been found eligible for special education and presented no evidence regarding residential treatment centers. The request is therefore denied.